Just as chieftains bask in the glory of success by their serfs and underlings, they too must be held to book when the script turns out not as advertised; i.e. # SAF 44. Alas, another erroneous interpretation by detractors of the principle of Command Responsibility. Nevertheless, at the end of an era, these may no longer matter. As in a sinking ship, it's every man for himself. Mamasapano or Luneta fiasco aside, this administration, realistically speaking, is far from a being a sinking ship. Its admirers may even say, it is the opposite thereof. The DoST under Mario Montejo, the most proactive DoST we've ever had, has quietly upgraded its weather forecasting dissemination with Project Noah, but not without losing qualified forecasters because of chronic underinvestment in PAGASA's assets, human and otherwise. Early on, a bureau chief had to unjustly lose his job because of this underinvestment. A prelude to the ugly hot tempered pitiless public humiliation of a NIA exec who was not to blame for the agency's failure in delivery. Culminating in the merciless trial by publicity of a sitting Supreme Court Chief Justice. We've sung the praises of the achievements of Sec. R. Singson of the DPWH. Having found the future plans cupboard bare, he proceeded to mastermind a plethora of projects to include the beginnings of an ambitious plan to blanket the country with a network of expressways, ready to be built by PPP. We hope his mega-cistern solution to floods spread to town planning as it has proven to be effective. While on the subject of successes, let's also not overlook the pursuit of total customer satisfaction in Sec. Del Rosario's DFA. So those who are performing have a career future to look forward to? Perhaps. For whoever is elected President in 2016, whether candidate of a united opposition or the resurrected Liberal Party, will surely do its spot of spring cleaning. It's a tradition in our political life and it makes sense, if only to ensure that the will of the people, as represented by the winning President and the Legislative majority, is carried faithfully to its logical conclusion. In the recent past, notably post Marcos and post GMA, this spring cleaning was carried out with the added touch of a witch hunting broom. For the vast majority of bureaucrats, career civil servants and professionals, it is likely to be business as usual, the way it should be. No one knows the levers and buttons of government better than those bureaucrats who operate [or obfuscate] them, regardless of the party in power. Beyond the majority who will stay put – for lack of a juicier opportunity in the private sector – there will be those who will move up and those who will ship out. Those whose jobs are ministerial, i.e. follow procedure by the book, would only get into trouble if they politicize decision making and implementation. When you consider the failure to abide by the contracts and court arbitration decisions of some agencies that prevent toll, power and water utility rate hikes, it's no good to claim that they were just obeying Palace edict. What can be worse than to be caught avoiding acting on an issue, so as to be seen as a team player by the Palace? This Palace, and God forbid we deserve another administration in the same mold, brooks no dissenting opinion [if you are no yes man, you are not a team player, you are free to go - if you are not with us, you are against us], believing that, like Neanderthals, unified and loyal to the President - validates the assumption that having had monopoly of righteousness makes them above probity, truth and even justice. Which invites sycophancy, which leads to blindness. Next is the descent into the slippery slope of isolation and further detachment from the pulse of public sentiment. That's what happens when bureaucrats are not willing to stake their jobs to oppose irrational and emotional decision makers. Who are those who will move up? It all depends if the incoming administration continues with the tradition of settling scores and getting even. If the incoming administration is allied with the departing one, this may not be a problem. But if the winner is from the opposition, then you can expect an intensive review of performance records, and subsequently the careers of some state prosecutors [DoJ], law enforcement agents [DiLG, PNP, DoJ's NBI and BJMPrisons], tax examiners [DoF, BIR, BoCustoms], COMELEC, and DENR. When it comes to perceived efficiency and delivery of “customer satisfaction” - which wildly differs if you are ally or opposition of the departing administration - then the performance evaluation review will target the DoH, DECS, DoTC, DoE, DPWH, DFA and Dept. of Budget Management. So assuming that one is targeted for forced early retirement, administrative case or thrown into the “freezer” [career limbo], is jumping to the private sector an alternative? Not if you, whether out of principle or out obsequiousness to curry favor to the powers that be, displeased powerful businessmen who are the only capable employers at all times. The marked men and women among tax examiners and lawyers know who they are. By this reckoning, Hyatt ten original DoF Sec. Ces Purisima, has a good head start. Besides having ex-DLSU classmates Greg Yu [PBCom] and Bong Consing [BPI], the credentials he established are recognized and respected in the global world of finance like APEC and WEF [Davos] – a good track record of country competitiveness, enhanced credit ratings, positive inflow of FDI [foreign direct investment] and intensive tax collection, mainly a feather in the cap of BIR commissioner Kim Henares. Whether or not local finance groups are falling over themselves to hire Ces and Kim post Pnoy, their burnished CV's are suited for well-funded and powerful foreign institutions. Leaving behind a mixed record, Sec. Mar Roxas, if he is not elected as the next President, has no need for credentials both for local and international investment banking employment. One thing stands out about Sec. Roxas, probably the main reason why the Liberal Party slavishly adores him, is that he single handedly brought back to life a party that was long dead and presumed beyond resuscitation. Similarly, a creative record of interpreting the law, like DoJ's Leila de Lima's and DBM's Butch Abad's, will work for or against them, depending on where you sit on the political divide. As we live with the mess of the LTO - no MVIS to this day, lost opportunity to adopt former LTO czar Bert Suansing's longer 8 character license plates, harassment of STRADCOM, slow mo computerization – Asec Virginia Torres did the wise thing and exited to prevent further embarrassment to the chieftain. Last we heard, she is gainfully employed and is in no way being harassed by the media anymore. Sixto Brillantes of the COMELEC should be in blissful retirement after years of methodically disregarding the anti-Smartmatic brigade baying for blood, which will continue its crusade all the way up to the Supreme Court. MMDA's Francis Tolentino would be happy to finally leave the damned-if-you-do, damned-if-you-don't metro authority. He can always go back to Tagaytay if only to rekindle the ire of FVR and inspire the former president to write, lengthily, on the evils of political dynasties in local politics. There will be a lot on the hands of flamboyant Atty. Arnel Casanova, a career executive of BCDA. His Clark Green City seeks to duplicate the success of BGC, at ten times the size. If ever he was being considered for positions with private developers like SMDC or Fil-Estate – if its still actively around – or even SM SuperMalls, BDO, etc. - his answer will likely be a polite “No Thanks”. So those eyeing him, you've been warned. Likewise, PPP Center's Cosette V. Canilao also has her hands full as she nurses her growing PPP baby through birthing pains, changes in the BOT law, changes of minds and bidding rules by a sometimes malleable sometimes intransigent Palace. With the DoTC mission critical in delivery of services and products, it was unfortunate to be bedraggled with a mismatch in skill sets, after the abrupt departure of the seasoned Ping de Jesus. Where technocrats and project managers were needed, barristers and research lawyers tinkered, reinvented the wheel, thus sucking the air out of contract clauses, dousing any private sector interest/initiative and aggravating the delay in crucial remedies to transport problems. Not even the beleaguered Sec. Larry Mendoza made this mistake. Poor Sec. Abaya, left holding this poisoned chalice, always at the mercy of legislators who made him target practice as they honed their skills in sanctimonious bullying for the sake of public spectacle. Never mind the hair trigger ire of civil rights and consumer advocacy groups. But then this government, lived and thrived on the undemocratic tyranny of public opinion, sidestepping doing what is right, managed with an untimely mix of stubbornness and denial. Sec. 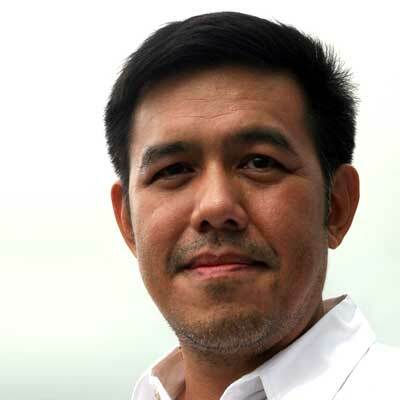 Abaya can always go back to being the LP stalwart that he is and run for elective office again. As for the sanctimonious bullies in the Senate, election year is always the time to turf them out or reward them. For some reason, the public seems to like their Senators to behave like Crusaders who have a mixed sense of summary tough-love justice of a vigilante, hair trigger condemnation and headline grabbing akin to the likes of Inquirer journalist Mon Tulfo, Davao Mayor Duterte and the original, Mayor Alfredo “Dirty Harry” Lim. Even the newly minted senators are crash course catching up on this crusading-public humiliating template. Children, do not even bother to try this at home. Ditto for the cry baby behavior of popular actor politicians caught with their cheque book signatory hands in the PDAF pork rind jar. Though highly unusual, Sen. Pres. Drilon used the threat of a Senate Inquiry to bash/force the Executive branch's agency to act on the NLEx-SCTEx integration. May his tribe increase and more terms for him. As for Pnoy himself, back to Citizen Pnoy, he will undoubtedly be most happy. Ask him about it [the presidency] all being worth it and his most likely answer: it was a sense of duty, but never again, at least right now. He can go back, hopefully undisturbed, to his occasional nights out with college buddies at Consulado, perhaps with a pretty Chinese mestiza in tow. He can indulge his passion for cars and nocturnal driving on all the new highways he inaugurated. He need not buy his own Porsche but he is most surely welcome to join all the Porsche driving events of Robert Coyuito's PGA. If not, there's always the Porsche's of his idol, Mon Ang. Or if he fancies vintage Jaguar and Mercedes, instead of vintage Mitsubishi's in Sta. Rosa, there's his favorite uncle's [not Peping] stable in Balete Drive, who, incidentally, would only be happy to find a place for him in his empire if he just asks for it. At least he no longer needs to pander to public opinion that demands he pretends to eschew his elite background just because he's President. Which, is unreasonable, dishonest and patently unfair as he is a bona fide branch of two illustrious patriotic families. The best relief for Pnoy is to be free to be himself again, no longer a marionette of public surveys and the so-called Voices of the Masa. “Daang nakawala” at last. And the “wang-wang” sirens remain silent. Since traffic is as inevitable as economic growth, one-way circulatory systems have proven effective in moving traffic along routes plagued by thrombosis.